June is busting out all over – starting today! 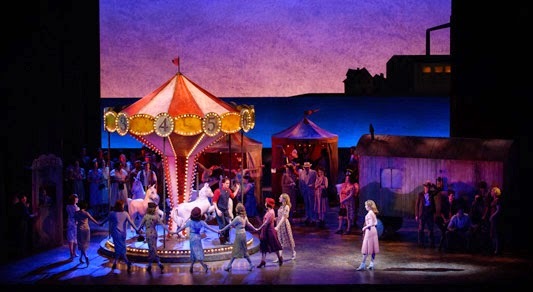 The company of Lyric Opera’s new production of Carousel. Image by Robert Kusel. Here at ChiIL Mama we're absolutely elated to be catching opening night of Lyric Opera's Carousel! The kids (11 & 14) and I will be there to review tonight. Can't wait! This award winning classic is sure to delight with multigenerational appeal. 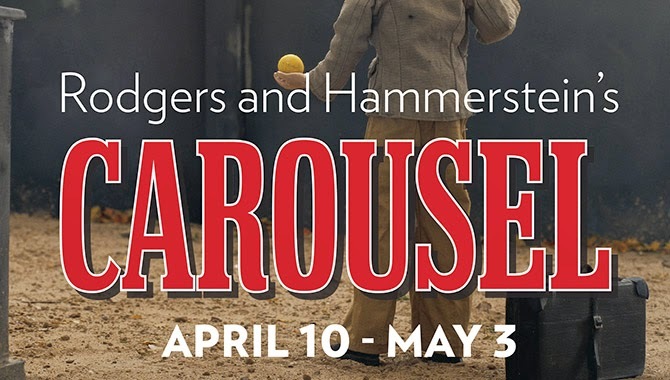 Lyric Opera of Chicago’s stunning new production of Rodgers and Hammerstein’s Carousel runs April 10 to May 3 at the Civic Opera House, 20 N. Wacker Dr., Chicago. 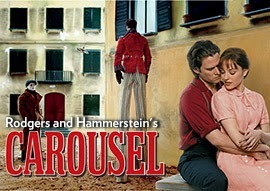 Tickets start at $29, and are available at lyricopera.org/carousel or at 312-827-5600. *This month marks the 70th anniversary of the Broadway premiere of Carousel, which had its first performance April 19, 1945*. The production is directed and choreographed by Tony, Emmy, and Olivier Award winner Rob Ashford. It stars Steven Pasquale (The Bridges of Madison County, The Good Wife) as carousel barker Billy Bigelow; Laura Osnes (Rodgers + Hammerstein’s Cinderella) as his true love, millworker Julie Jordan; Jenn Gambatese (Lyric’s The Sound of Music) as Carrie Pipperidge; Matthew Hydzik (Side Show, West Side Story) as Carrie’s beau Enoch Snow; Denyce Graves (Lyric’s Carmen) as Nettie Fowler; Jarrod Emick (Damn Yankees) as Jigger Craigin; Charlotte d’Amboise (Pippin) as Mrs. Mullin; and Tony Roberts (The Royal Family; Victor, Victoria; Cabaret) as the Starkeeper. Conductor David Chase makes his Lyric debut with Carousel, leading members of the Lyric Opera Orchestra and Chorus. Chase is a regular collaborator with director/choreographer Rob Ashford (The Sound of Music Live! and Peter Pan Live!, How to Succeed in Business Without Really Trying, Lyric’s The Barber of Seville). Visual artist Paolo Ventura makes his theatrical debut as set designer. Tony Award-winning Catherine Zuber (Lyric’s The Barber of Seville) is costume designer. Neil Austin (Lyric’s Madama Butterfly) is lighting designer, Mark Grey (Lyric’s The Sound of Music, Oklahoma!, Show Boat) is sound designer, and Michael Black is chorus master. Carousel is the third Rodgers and Hammerstein musical to be presented as part of Lyric’s American Musical Theater Initiative. The King and I and South Pacific follow in the 2015-16 and 2016-17 seasons, respectively. Past productions were Oklahoma! in the 2012-13 season and The Sound of Music in the 2013-14 season. The new Lyric Opera production of Carousel is generously made possible by The Negaunee Foundation, an Anonymous Donor, Robert S. and Susan E. Morrison, Mr. and Mrs. J. Christopher Reyes, Liz Stiffel, Mrs. Herbert A. Vance and Mr. and Mrs. William C. Vance, and Jim and Vicki Mills/Jon and Lois Mills. Learn more about this production at lyricopera.org/InsideCarousel. Follow the conversation on Twitter: #LyricCarousel. Carousel ticketholders can visit the new gallery exhibit “Creating Carousel” before curtain and during intermission of all performances. Located in the Opera Club on the lower level of the Civic Opera House, the exhibit includes set design paintings, set model elements, and a video interview with artist Paolo Ventura, costume design drawings by Catherine Zuber, and some vintage carousel elements on loan from Architectural Artifacts. It is free to all ticket holders and will be on display through early May. The exhibit is co-curated by Michael Schoenig and Scott Marr.